Shoulder injuries are common partly due to the anatomy of the shoulder joint. The shoulder joint is not a true joint. Unlike the ball and socket joint of the hip,which lends it great stability, the shoulder is made up of four separate joints that are held together by connective tissue. The structural instability of the shoulder leads to increased risk of ligament and tendon tears,thus speeding up arthritic changes. It is important to strengthen the muscles and tendons around the shoulder to improve overall strength and stability of the shoulder. Since rotator cuff injuries are so common, rotator cuff exercises should be a staple in everyone’s shoulder workout. The shoulder is made up of four joints, some of which are designed for mobility and, some for stability. These joints are listed below. The head of the humerus (upper arm bone) sits in the glenoid fossa – the depression of the scapula(shoulder blades), forming the glenohumeral joint. The GH joint is a ball and socket joint and therefore gives the shoulder great mobility. The AC joint is located at the top of the shoulder, where the distal part (part furthest away) of the clavicle meets the acromion process of the shoulder blade. This joint is commonly weak and unstable because there is no muscle crossing the joint. Arthritic changes are common at the AC joint due to its weakness and instability. The scapulothoracic joint is formed by the union of the posterior (rear) rib cage and the anterior (front) surface of the scapula. The scapulothoracic joint is held against the rib cage by the serratus anterior, rhomboids, and trapezius muscles. The Scapulothoracic joint provides stability for overhead activities. The sternoclavicular Joint is located where the medial portion of the clavicle meets the sternum. The sternoclavicular joint is strong, due to the support of various ligaments that surround it. The rotator cuff is a group of four muscles that form a sleeve or cuff around the shoulder. The supraspinatus, infraspinatus, teres minor, and subscapularis muscles form the rotator cuff. They originate at the border of the scapula and attach on the humeral head. 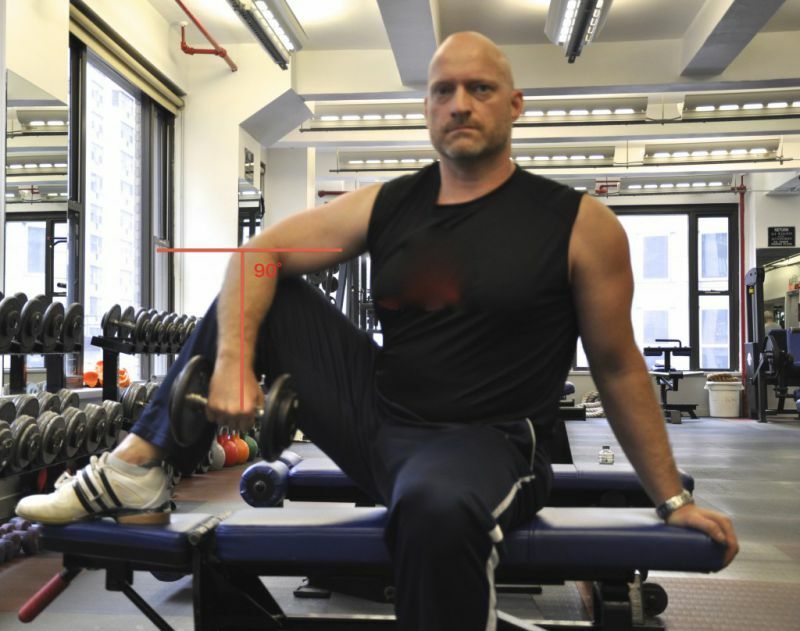 The supraspinatus assists in abducting, or moving the arm away from the body laterally. The infraspinatus externally rotates the shoulder, and is preferentially recruited when the arm is in greater levels of abduction. The teres minor also externally rotates the shoulder, but is preferentially recruited when there is less abduction of the humerus. The subscapularis internally rotates and stabilizes the shoulder during overhead activities. The main function of the rotator cuff muscles is to stabilize the shoulder during overhead movements. When lifting the arm, rotator cuff muscles pull the humeral head down into the glenoid fossa so the humerus can rotate and superiorly migrate without banging into the acromion process. Because the rotator cuff tendon has a low blood supply, it’s important to keep it vascularized. Improving rotator cuff strength and overall flexibility of the shoulder improves blood flow to the tendons, which prevents injuries and promotes healing of existing injuries. Of the four rotator cuff muscles, the ones that need direct training are the external rotators, specifically the infraspinatus and the teres minor. 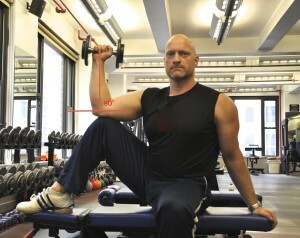 The supraspinatus assists in all lateral movements of the arm and the subscapularis is an internal rotator. The infraspinatus and the teres minor get no direct work in any movement other than external rotation. The rotator cuff muscles work to counteract the forces produced by the deltoid muscles, which we will discuss shortly in this article. 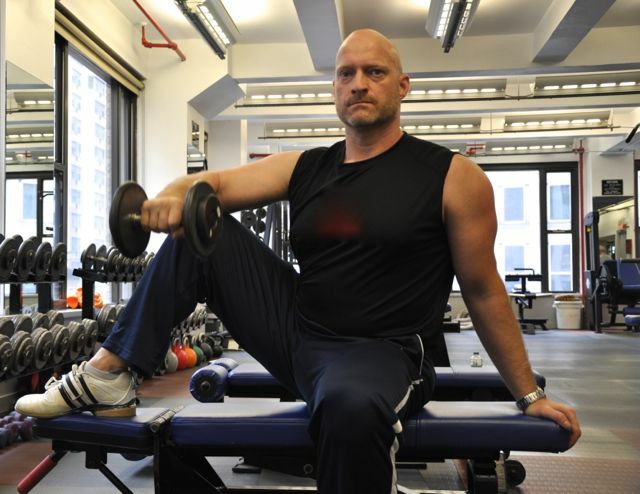 To improve overall shoulder strength, I recommend starting with strengthening the rotator cuff muscles and tendons. It’s always a safe bet to strengthen the rotator cuff muscles because as aforementioned, there is no other way to improve their strength with other, more conventional movements. The deltoids are strong in comparison to the rotator cuff and therefore can be trained less often. 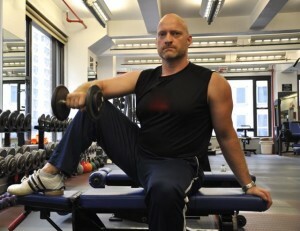 As a rule, for every two exercise you do for the rotator cuff, you can do one exercise for the deltoids. The deltoids (anterior, middle, and posterior) add to overall shoulder strength, structural balance, and aesthetic prominence of the shoulder. In order to improve overall stability, strengthen the muscles that surround the scapula. Strengthening large muscles that attach around the scapula such as the trapezius, rhomboids, lats, and serratus will ensure overall shoulder health, strength, and stability. When focusing on a rehab program for the shoulder, the primary goal should be hypertrophy of the muscles. Injuries speed up muscle atrophy, so your first goal should be to build back the muscle you have lost. In order to attain this hypertrophy goal, keep all exercises in the 8-15 rep range and perform three sets of each exercise. 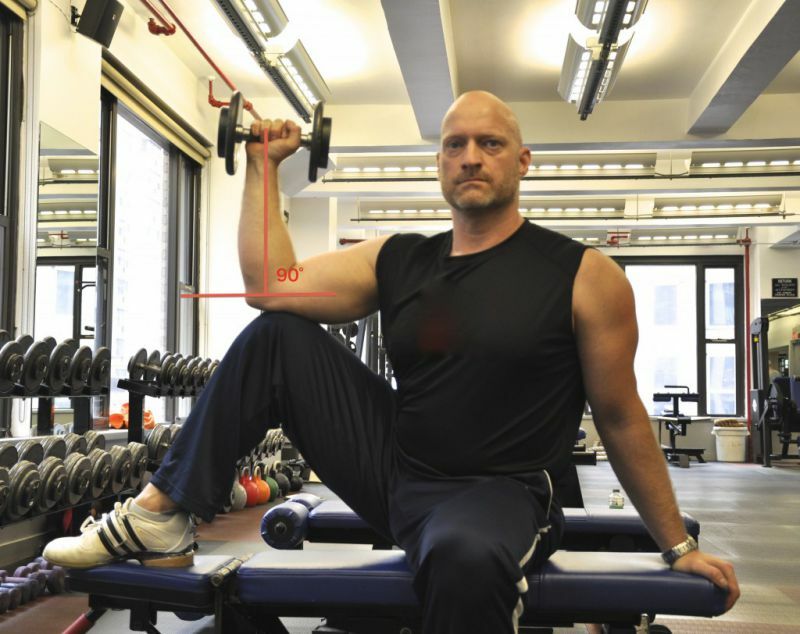 During this phase of the shoulder rehabilitation program, it is beneficial to perform a variety of exercises to regain muscle around the shoulder, and improve range of motion. 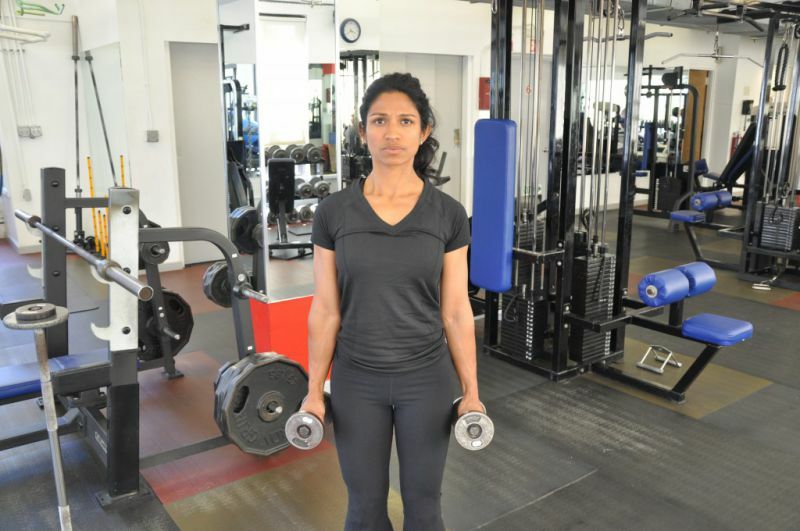 In the next step of the shoulder rehab process, focus on improving strength. Increase the intensity by decreasing your rep range to 6-10 reps, and increase your work sets to 3-4. The number of total exercises you perform will decrease during this phase of your program. Change the exercises, reps, and sets of your shoulder rehab program every 4 to 6 workouts in order to continue making strength gains. 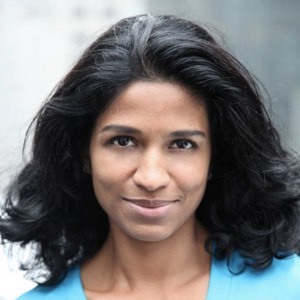 Bindu Nambiar is a strength coach and fascial stretch therapist at Physiqology Inc., a New York City based personal training company. Bindu helps her clients get stronger, recover from injury, lose weight, and look great!